The ancient Japanese ninja warriors were masters of the deadly silent art, known as ninjitsu which translated means 'The silent way.' These stealthy assassins, shadow warriors and midnight thieves were masters of many skills, weapons and misdirection, and they were the secret warriors of Japan shrouded in mystery and confusion. The ninjas actually came into existence, or at least prominence in the 15th century, during the Sengoku period where much was the bearer of much change in Japan. Wars were common and the political power was shifting back and forth, and there became a need for a new class of Japanese warrior. This need was satisfied by the multi skilled ninja warriors, stealthy, silent and truly deadly. 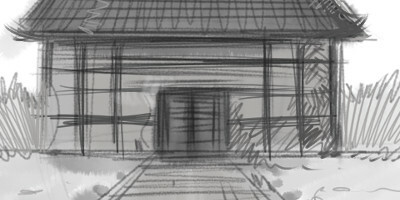 The ancient ninja were trained in many arts, sabotage, espionage, assassination and more. Paired with a large arsenal of weapons, including weapons for combat and also weapons to gain entry, to slow down their foe and cause distraction. 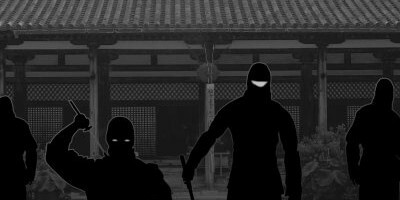 To truly delve into the secretive world of the ninja requires time and dedication, to learn their skills, their tactics and their orders, which is just what we plan to do. 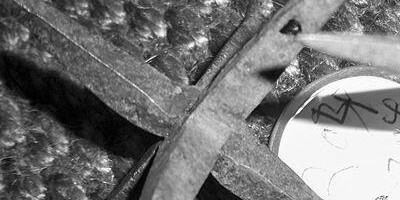 We will separate the myth from the fact and bring the mysterious ninja warriors of feudal Japan back to life. The ninja was also known under its Japanese name of shinobi. This term was typically applied to male ninjas and was the term used before the popularisation of the word ninja. Some of the first ninja to be recorded in history were from the famed Iga and Koga schools. These ninjas were typically family memebers, with the Iga and Koga clans really being a series of families passing down skills from generation to generation. Of course once these highly honed skills became known to the rulers of the time, their value was obvious to them. This was then the training of the ninja became much more prevalent, and a new class of warrior in feudal Japan was truly born. Of course, the reason for the demand of the Ninja warrior was their unique skills and talents. The ninja were training in diverse selection of espionage, combat and warfare tactics, making them suitable to complete a multitude of jobs and missions. To be a true ninja however required mastery of the 18 skills of ninjitsu. These skills were a mix of unarmed combat like Tai jutsu, stealth type skills like Henso-jutsu, which means disguise and impersonation, and even skills like meteorology and geology known as Ten-mon and Chi-mon respectively. Key to the effectiveness of the ninja in many situations was their ability to employ stealth. 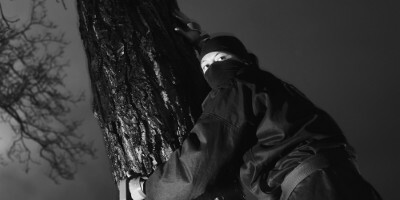 The ninja would not only practise hiding techniques like Uzura-gakure, but also walking techniques like Uki-ashi and Kitsune-bashiri allowing the ninja to walk in almost silence. 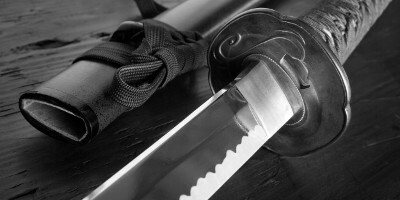 One of the most varied weapons selections of any ancient warriors, the ninja had a weapon for every situation, and had the training to use it like an expert. For long range combat, the ninja could use their shuriken or explosives to cause damage from a safe distance. In mid range the kusarigama, chain and sickle weapons were perfect to attack an enemy without getting to close. However if a ninja did need to close the distance and end the fight in a more personal manner, then the many swords and blades of the ninja were more than capable of ending the fight in seconds. 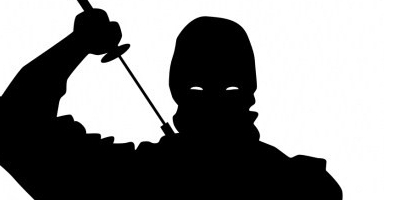 Not only were the ninja equipped with a diverse range of combat weapons, they were also armed with a variety of tools, allowing them to complete their tasks and mission in a manner which was not the norm. These tools came in a multitude of forms, from tools to gain entry like the Kagi-nawa, a climbing hook rope that allowed the ninja to scale buildings, to special lanterns like the Ganto allowing the ninja to see in darkness but not to alert attention to themselves. The ninja also had many tools capable of distraction, like the Ibushi-ki, a smoke pot allowing them to escape unseen by their would be detectors. It’s sometimes perceived that ninja would work alone, this might have been the case on an individual mission, but far from the actual truth. 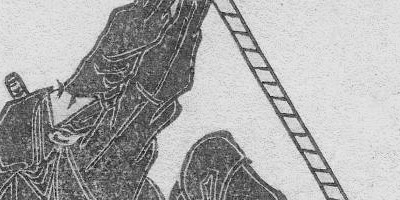 From the early trainings of the first ninjas at the Togakure-ryu, the first recorded ninja school brought with it the beginnings of a structure level. 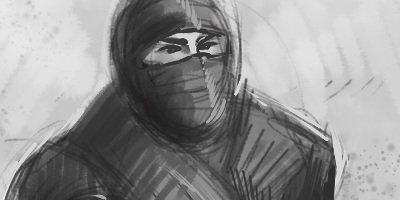 Over time various ranks and orders would emerge, allowing the ninja to be more effective, efficient and deadly. The ranks focused on three primary tiers. The first tier was the Genin or lower man, generally working on a grass roots level, the genin were still highly trained ninja but often had a typical normal life as well. The Chunin or middle men were responsible for the communications and interactions between the Genin and the upper men. The chunin would convey messages, orders or instructions, and keep a layer of anoynimity between the ranks. The Jonin or upper men, were typically clan leaders or high ranking ninja in the clans. They would be responsible for the big picture, planning, strategy and organising the implementation. Mysterious, deadly, skilled in many arts and armed with years of training and many comrades from their clan, the ninja were a force to be reckoned with. If you were a lord in feudal Japan, and required a mission of up-most importance to be completed with class, finesse and stealth there was only one choice.